PRAISE GOD with all of your hearts and souls for HE is GOOD! This report is long overdue!! I first came to this site for what seems like a long time ago, but in reality it was just last April, less than a year ago. At that time, I had separated from my wife (by her request) and was lost in a sea of despair. Things got progressively worse in my marriage even as I drew closer to God. There was no talking to her, as all I ever got was anger and resentment. Things went from ‘let’s just take a break and see where it leads us’ to her filing for custody of our girls, getting an order of protection against me and filing for support claiming I was not paying anything (when the whole time I had been giving her almost half of my paycheck every two weeks). It forced me into the court system that many of you know causes much more harm then good. We had to see a counselor jointly, individually and as a part of groups. The counseling was going nowhere and she was insistent that “this marriage was over.” She only wanted to work out issues relating to our girls. Things got progressively worse as we were ordered to go to a court-ordered forensic evaluation to determine our status as parents. With this news my wife filed for divorce on July 9. During all this, I kept drawing closer to the Lord and relying on Him for my strength. 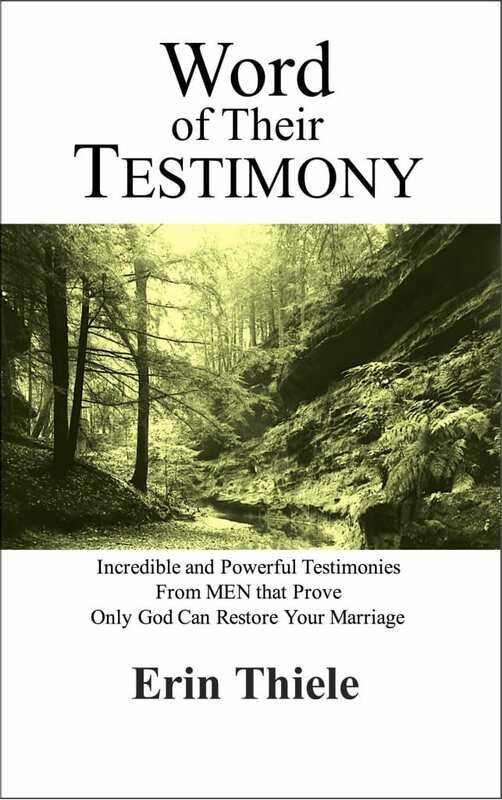 I used the book How God Can and Will Restore Your Marriage and A Wise Man as my guides. 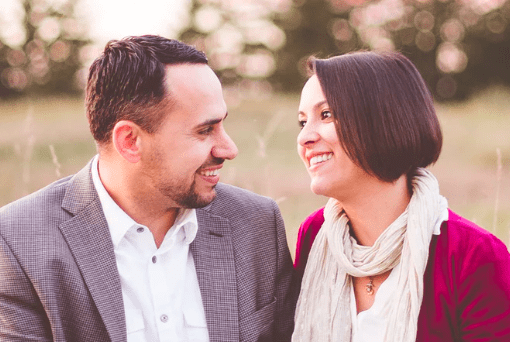 I continued to pray and fast, giving my wife everything she asked for and more, if it was at all possible. In the midst of it all, she and the girls went away for a vacation, and it was during that time that the Lord began working on her heart! We had several phone conversations, and while there seemed to be no movement on her part, it was more than we had talked in the past four months! My wife came back from vacation without the girls who where spending a week with their grandparents. God was using the time away from our girls to continue to work on her heart, to show her my heart and how my separation from our daughters and her had made me feel. At the same time He showed me her heart and how she had felt for so long in our marriage. Instead of dwelling on what was happening and the upcoming evaluation, I just continued to attend three weekly church services and let the Lord lead me in whatever His will was for me. Eventually, this led her to call me while I was at still at church. When I went, I went with the intention of asking for prayer for myself over the upcoming evaluation and I ended up laying hands on two brothers who where in similar marital crises. I was overcome with their grief, pain and sorrow. I was wiped out, but strangely filled with God’s peace. I arrived home late to find a message to call my wife. We both responded with an emphatic NO! Instead, we spent the next two hours eating and talking over a meal that I had prepared for us! When we got up to leave, my wife gave me a hug—the first one in over six months! Hallelujah! I was singing God’s praises all the way home!!! I arrived home to a ringing telephone and it was my wife! We talked for another three-plus hours! There were no harsh or angry words! The next day, she called in tears because she was not able to drop the order of protection. She was afraid that I would be angry and that it would cause us to lose the ground we were gaining. I prayed for and with her and we agreed to meet for dinner. We enjoyed another two-hour dinner and a three-hour phone call. Friday evening we again talked for three hours and she invited me over to see our daughters. This was beyond anything I had hoped for because previously she had insisted on a strict two-week visitation schedule. Saturday, I was surprised to be invited for dinner. Afterward, she asked me to come over and spend Sunday with them as a family to talk over the evaluation that was taking place the next morning. During the previous week my wife’s greatest fear was this evaluation and the (remote) possibility that something terrible would come of it. That fear lead to lots of prayer and Scripture reading for us together! Once again, GOD showed HIS GRACE and the evaluation went extremely well. So well that we went out as a family for dinner to celebrate! This led to us spending ever-increasing amounts of time together for GOD to work on healing wounds that had festered for years. In September, we celebrated our fourteenth wedding anniversary by going away for three days (without the girls) and I moved back home!!! Hallelujah!!! It has been four months since then and we continue to draw closer to GOD and each other! We attended a “Family Life Weekend to Remember Conference” in November and we are teaching a seventh through ninth grade Sunday School Family Faith class! Awesome!! I praise and thank the LORD every day! I continually look for ways to let my wife know how much I appreciate and love her. I bring home flowers, chocolates, make dinner, pack lunches in the morning and leave love notes for her when she comes home from her group late at night. Dear ones do not despair, for if ever there was a hopeless situation it was mine. GOD can change the hardest heart and heal the most broken marriage! Trust in HIM, worship HIM, give HIM thanks in all things and let your JOY in knowing HIM as your LORD and personal Savior be your guiding light. All my love in Christ!